This refresher course is run over two-days and allows for re-certification of First Aid at Work qualified staff. The criteria are the same as for the initial four-day course. The training is over two days or you can spread the two days over a number of weeks. Duration: 2 consecutive days or 2 days spread over a number of weeks. 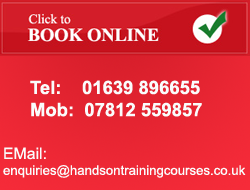 Venue: On site or at our training centres. *Please note that candidates attending this course must be in possession of a valid (not out of date by more than 28 days) First Aid at Work certificate.